Home consumer Cooperative extension food business menu penn state restaurant trends What's Trending in Restaurants for 2014? What's Trending in Restaurants for 2014? No matter what type of retail you are in (agricultural or otherwise), it is very important to stay ahead of trends if you want to keep up with your customers' evolving wants. It's not necessary to embrace every trend or change your business model entirely, but it is crucial to know what is trending and how these trends will affect your business. In a recent report by Technomic (a foodservice research and consulting firm), the top 10 trends for restaurants in 2014 are listed. Below are a few of those trends. If you are a restauranteur, take some time to ask yourself some of the following questions as to how this trend would affect your business. More information. Listing ingredients, where they came from, and how they were prepared are all pieces of information consumers are looking for. Things to thing about: Do you need to redo your menus so they are more descriptive? 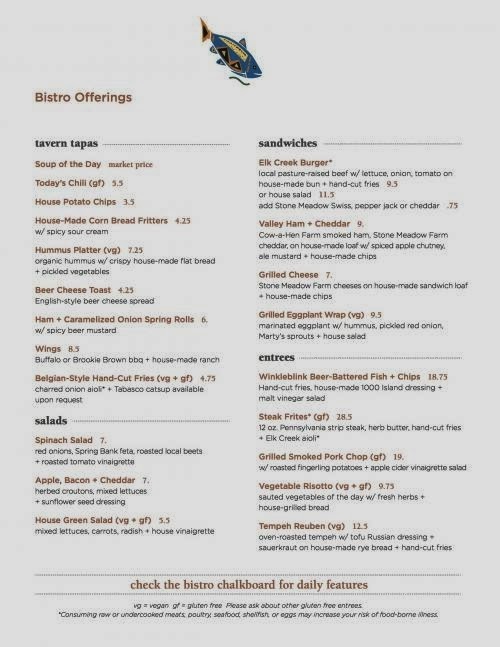 When looking at other restaurants' menus, what cooking terms make you want to order a certain meal (for example, chargrilled, fire roasted, caramelized, vine ripened, etc)? Use these descriptors to develop your menu and entice your customers. Do you have a relationship with the farms you buy from? Guests may find it interesting to know where their food is coming from. For example, ask the farmer to write a description about the farm and the food to feature in your menu. 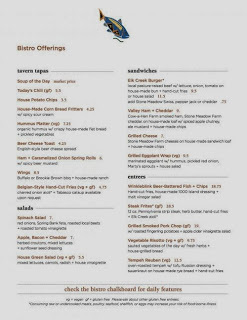 In the menu below, look at items like the Elk Creek Burger and Valley Ham + Cheddar. Items in the dishes are described well and also list farms that source the ingredients. Starches are back. 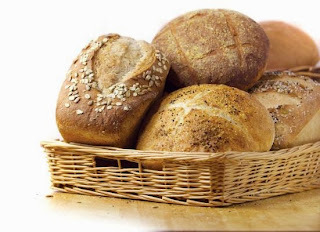 In previous years, carbs were put on the "naughty list" with the introduction of low carb and no carb diets, but that trend seems to be fading. Technomic says, "Rice bowls will be big, in part because of continued fascination with Asian fare and in part because of an association with healthfulness. Look for more in the way of flatbreads, wraps and all kinds of artisan breads including healthy whole grain varieties." Do you offer healthier options like whole grains in your bread and pasta selections? Spotlight these healthier options in your menu somehow (for example place them in a special section in the menu, use an icon to highlight the healthier options, etc). Eating on-the-go. Customers want foods that are easy to eat on-the-go, including handheld foods and car-friendly packaging. Do you currently have any items that are convenient to eat on the run or are there any menu items that can be modified to fit this need? What kind of packaging will you need to purchase to make your foods grab-and-go? 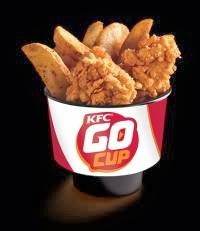 KFC chicken fingers and fries served in packaging that fits in a car cup holder. As always, do your research BEFORE embracing a new trend. What works for one restaurant may not work for you or your customers.